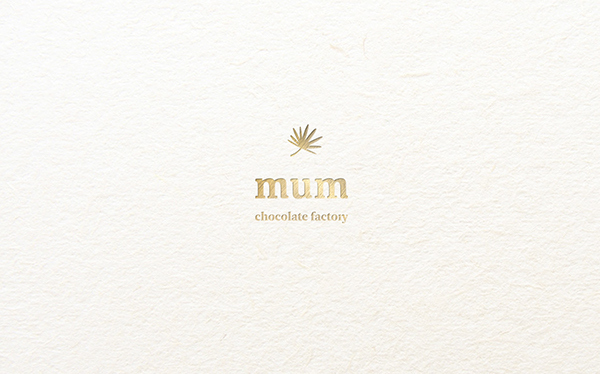 mum chocolate factory is a chocolate manufactory that produces finest organic chocolate for the whole family. 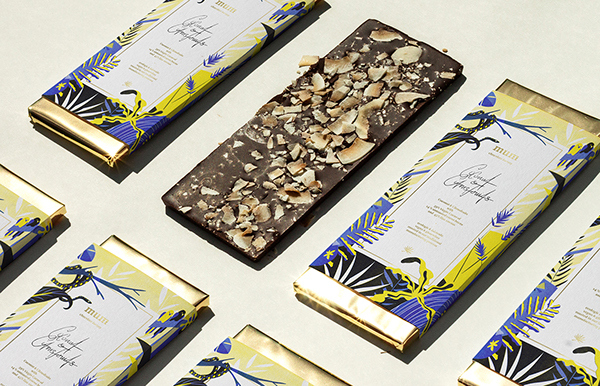 Traditional cultivation methods, personal trading, transparency and the best chocolate quality are characterizing this brand. 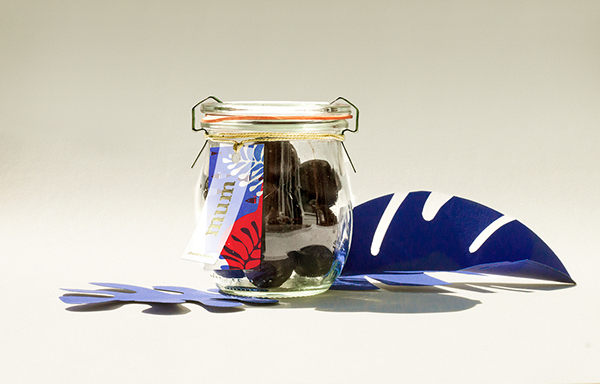 The chocolate beans grow in natural mixed cultivation in the rainforest, environmentally sustainable and in accord with the ecosystem. 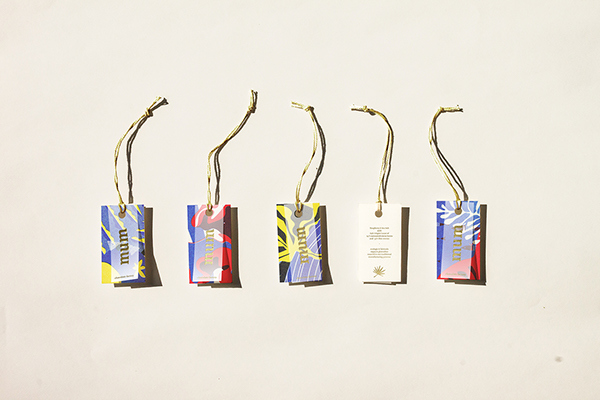 They are lifted and dried by hand without being treated in any factory. 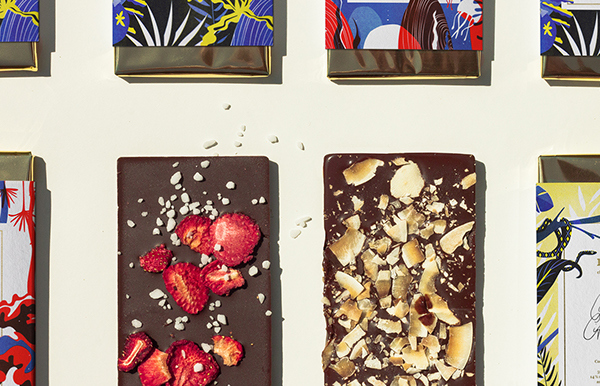 The chocolate is also vegan and free from gluten and lactose. 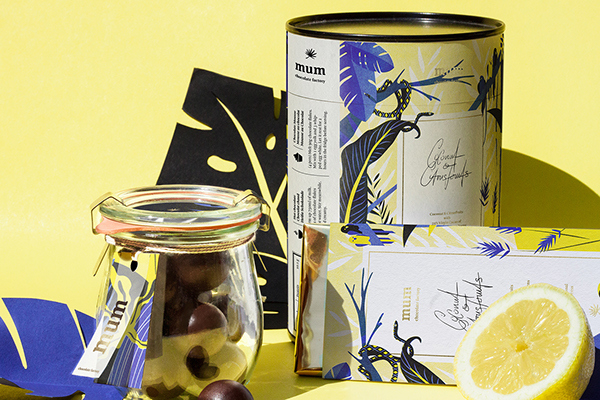 These values are communicated by a highly personalized branding that combines handcrafted illustration and traditional printing methods with high end finishings such as embossed golden foil. 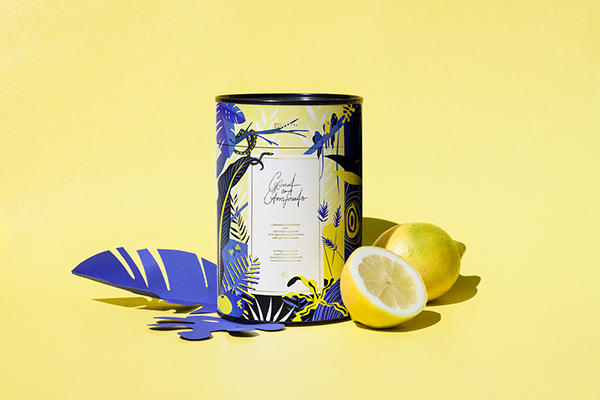 The icon shows a dandelion flower which embodies both warmth and lightness of a summerbreeze and thereby follows the friendly and personal image of the brand. 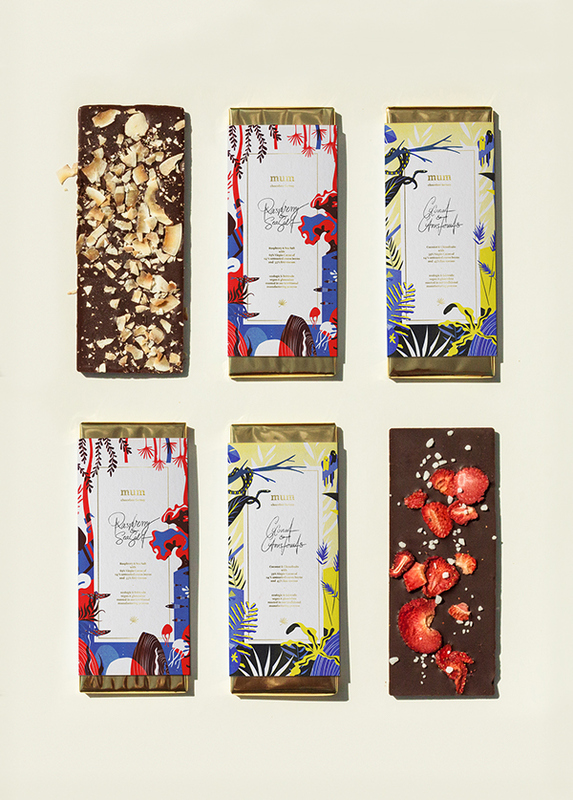 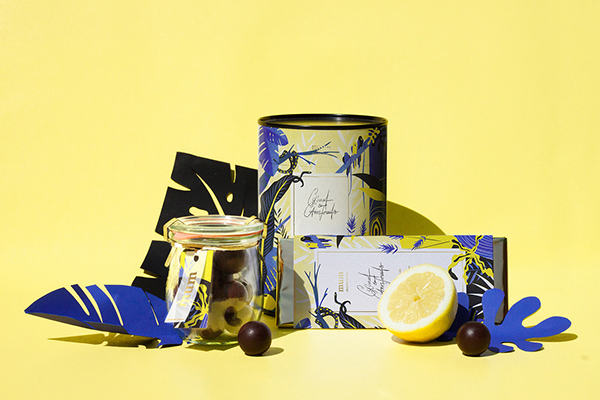 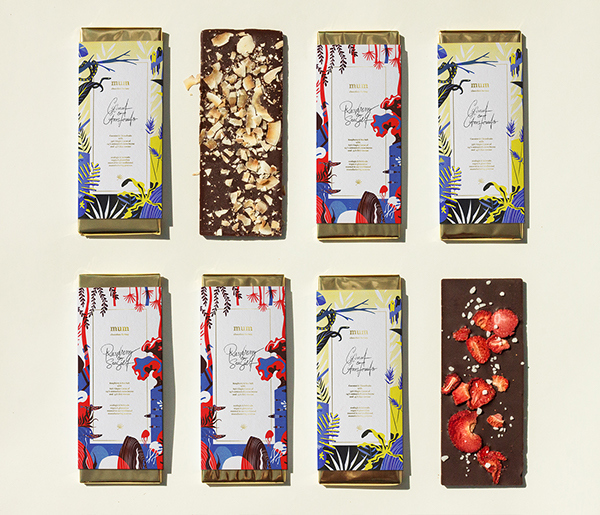 This packaging collection, consisting of chocolate bars, packaging for pralinés and also for hot chocolate chips, was designed for their special summer edition with the two exotic topings 'raspberry & seasalt' and 'coconut & citrusfruits'. 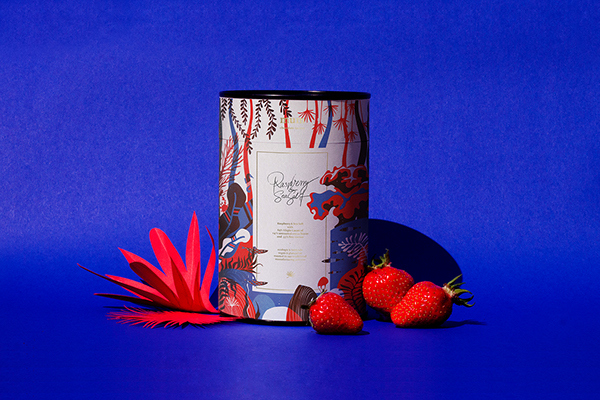 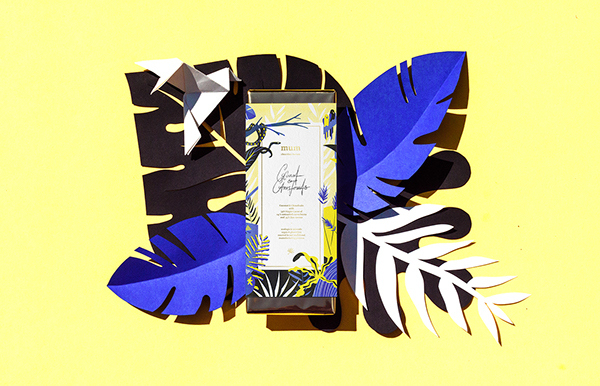 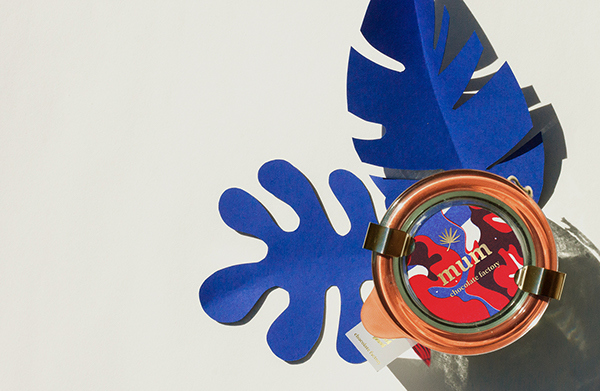 The design is based on two risography illustrations that communicate perfectly the positive feeling of summer and the extravagant product using child-friendly aesthetics. 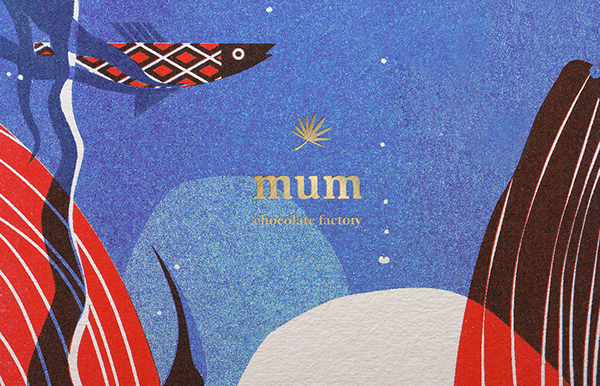 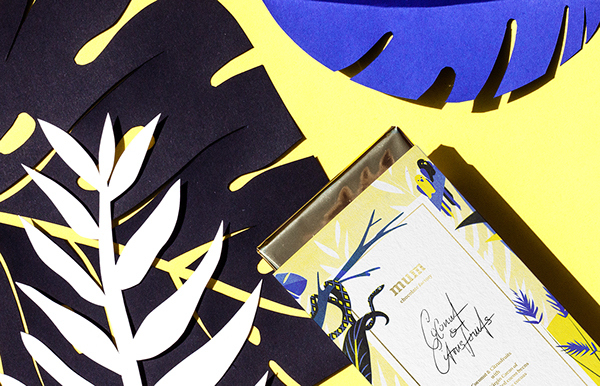 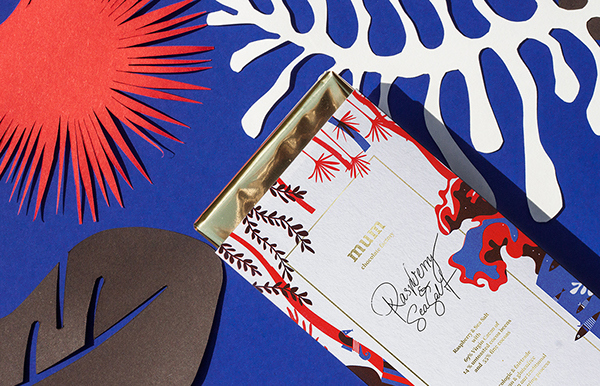 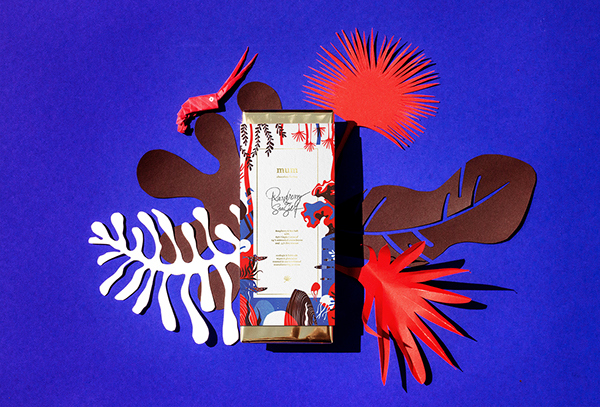 The rough printing texture of the risograph transmits the handmade character of the product and the friendly illustrations invite everyone to try out the unique taste of this delicious chocolate.